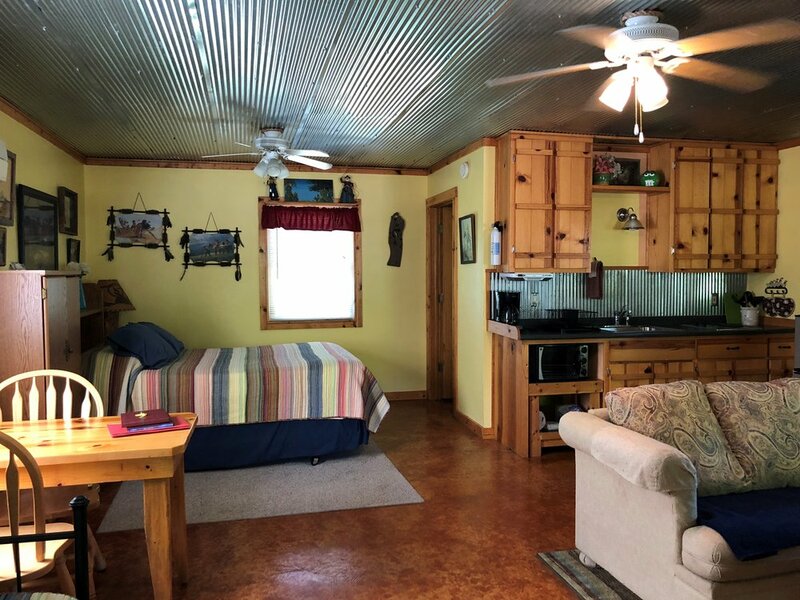 This cute, new'er one-room cabin has all the amenities you need with Satellite TV/DVD, kitchenette with countertop stove/oven, microwave, coffeemaker, small fridge. 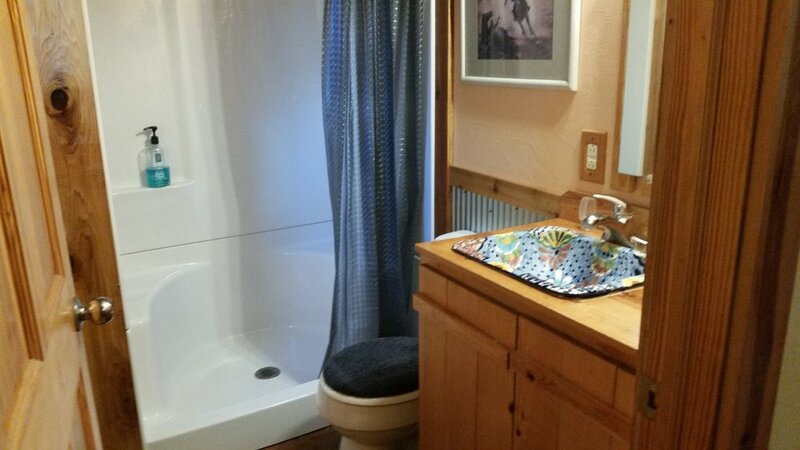 All linens, towels, cookware, and dishes are included. There is a hot tub, fire-pit, picnic table, and charcoal grill outside. 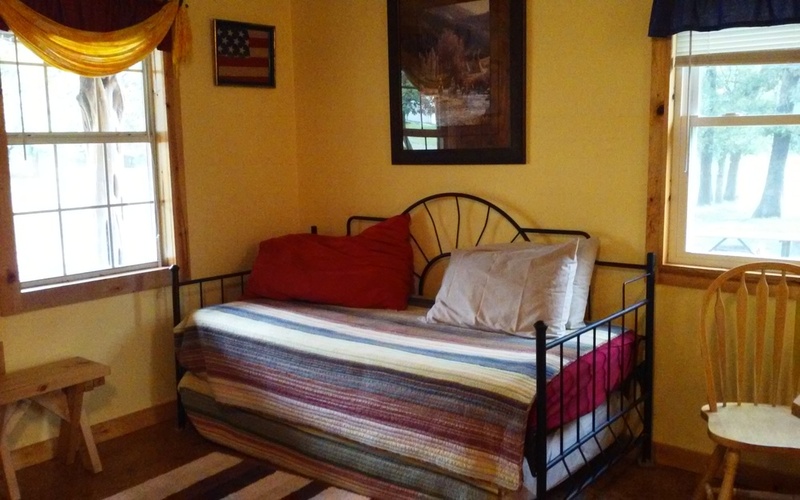 The cabin can sleep 4 comfortably with a queen size bed plus a daybed that makes into 2 twins or a king. There is one bathroom with a shower. Each additional person is $10 per night. A maximum of five(5) people can stay on the property. PET POLICY: Flyin-D does allow pets with a $10.00 per pet per night fee with prior notification. The fee for horses is $10 per night per animal. You must provide your own feed and sign a waiver to bring your horse. You must also make a reservation for your horse. Please do not just show up with a horse. We accept Visa, MasterCard, Discover and American Express. Your credit card deposit is processed at time of booking. Cash payments are accepted for the remainder of the stay, but you need to notify us if paying cash.